Lisa K. Heinemeyer, MD earned her medical degree from the Medical College of Ohio at Toledo and completed her residency at the WW Knight Family Practice in Toledo. 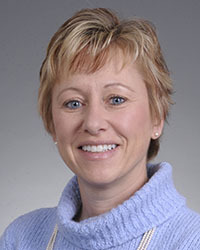 She is board certified in family medicine and has more than 23 years of experience. She provides all family medicine services with a focus on pediatrics, women’s health, and aesthetics. To schedule an appointment with Dr. Heinemeyer, please call (937) 531-0132.